Is it time for you to upgrade to a new family car? Mazda’s diverse lineup consistently ranks well in all classes, from its sporty and energetic Mazda 3 to the bestselling crossover CX-5. Mazda is a favourite in Toronto thanks to its lithe design and performance, and there’s a Mazda out there to fit your tastes. When you come visit us, our expert sales team can give you the tour of our showroom with all the latest 2018 Mazda models. When you’re ready to take a test drive, just stop by the dealership and let our sales team give you a hand. Mazda 3 – Before the CX-5 overtook it, Mazda 3 was the brand’s bestselling car and it remains a hugely popular option at Yorkdale Dufferin Mazda. It’s compact and versatile, while families who need a bit more room can expand with the 5-door hatchback. The Kelley Blue Book recommends the Mazda 3 for drivers who like to experience driving, who want to look forward to getting in the driver’s seat in the morning, and who want to drive something with a great sense of style. Mazda CX3 – The new Mazda CX3 has replaced the Mazda 2 as the entry-level crossover in North America and it’s got all the qualities that drivers have come to associate with Mazda: engaging driving and great-looking design. It’s easily the most fun car to drive in the subcompact SUV class, though if you need a lot of space, you may be better off looking at the Mazda 3 hatchback or the CX-5. Mazda CX-5 – The Mazda CX-5 was elected one of the top 10 family cars of 2017 and its success has made it the best selling vehicle in the Mazda lineup. This crossover finds the balance between performance and pragmatism, combining a comfortable and quiet cabin, alongside Mazda’s stylish design, with engaging driving performance. The CX-5 is updated with a 15 percent stiffer chassis and G-Vectoring Control, a technology that shifts load onto the front axle while reducing torque. The effect is a vehicle that quickly responds to your desires. The Mazda CX-5 is the best-selling Mazda for a reason, and you can find it here at Yorkdale Dufferin Mazda. Mazda 6 – The Mazda 6 is the family-sized sedan you want if you can’t imagine yourself getting behind the wheel of an SUV. As a medium-sized sedan, it has all the space a family needs and the design looks stylish. 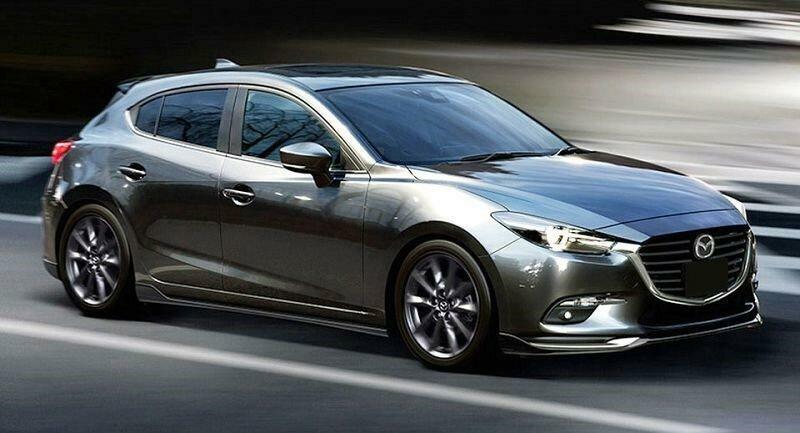 Buy the Mazda 6 for the spaciousness and the chic urban design. Mazda has a car for any family and you can see all the cars in our showroom at Dufferin and Castlefield, just off Allen Road and blocks from Eglinton West subway station. Here at Yorkdale Dufferin Mazda, it’s our goal to get you into a vehicle that suits your family. With Mazda’s incredible lineup, we’re confident that we can find the right one for you at a great price.